If you paid attention to the NHL during the past month, you'll know there was a dust up over the contract offered to Russian sniper Ilya Kovalchuk by the New Jersey Devils. It was originally a front loaded contract, topping out at $11.5 million per year, before ending up at what will likely be below minimum wage at $550,000 for the final five years of the contract when it would have expired in 2027. The raw numbers of the deal roughly had Kovalchuk making $6 million for the next two seasons, $11.5 million the next five seasons, $10.5 million in 2017-2018, $8.5 million in 2018-2019, $6.5 million come 2019-20, $3.5 million in '20-21, $750,000 in '21-22, and the aforementioned $550,000 for the final five years. All this at a very manageable cap hit of $6.5 million per year for an elite player. The deal was nixed by the League as an attempt at Salary Cap circumvention. 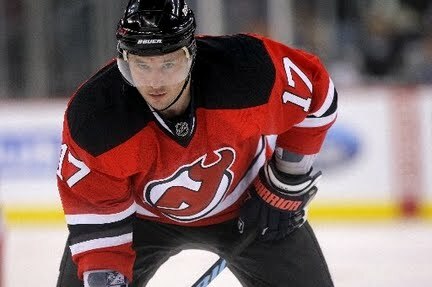 The Devils have since re-worked a deal with Kovalchuk which was then approved by the League. The new contract, running through 2025, is a 15 year deal worth $100 million. The new deal comes at a Cap hit of $6.66 million but does not dip below the $1 million threshold at any point in the length of the contract. As a result of being found guilty by the NHL of trying to circumvent the Salary Cap, the NHL has imposed a steep fine on the Devils. They must pay the NHL a $3 million fine. Further, the Devils must forfeit a 2010 3rd round pick and a 1st round pick that will be given up at any time in the next four years. They have until the end of their season, be it regular or Playoffs, to tell the league what years 1st round draft pick they'd like to give up. It's a tough line to walk for the NHL as before this deal went through there had been many like it which had been able to sneak through the system. The likes of Marian Hossa, Chris Pronger, Roberto Luongo, and a handful of others have deals which drastically dive in similar fashion. While it's questionable as to why the League would finally take a stand, the important thing is that they did. Devils fans may grouse and grind their teeth at the steepness of the fine invoked upon their team when their was no precedent set going into the violations hearing but the NHL came into the hearings with the thought of making this the precedent and making sure no one even considers doing the same thing. It's a fair fine when you consider that the Salary Cap, what the Devils are guilty of trying to get around, was the entire reason the League lost a season and has since seen success like they haven't in recent years. When the Cap is there to level the playing field amongst teams and someone goes out of their way to intentionally get around that, and therefore harm the league, a harsh punishment is called for. It's a steep price to pay for a star player of the caliber of Ilya Kovalchuk, who can be an amazing impact force all on his own. However, I'm sure that the Devils, and Kovalchuk, are happy to be in each others company until the 27 year old's contract is up.